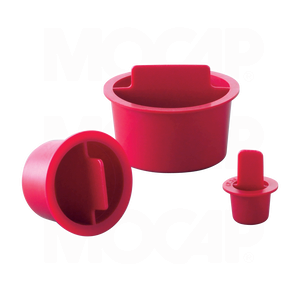 MOCAP Polyethylene Center Pull Tapered Plastic Plugs are similar to our standard tapered plastic cap plugs, but have a center pull tab designed to facilitate removal. Extra strong tab is moulded into bottom and sides of plastic plug and extends well above the plug flange making it easy to grasp and remove. All sizes are available in Mini-Pak quantities when less than box quantities are what you really need. MOCAP stocks Center Pull Tapered Plugs in many sizes for immediate shipment. Call MOCAP at 0800 856 2466 or use our Contact Request Form to receive more information.